Typical Lyrids are about as bright as the stars of the Big Dipper. As meteor showers go, the Lyrids are relatively mild. Most years in April there are no more than 10 to 20 Lyrid meteors per hour. But sometimes, when Earth glides through an unusually dense clump of debris from Comet Thatcher, the rate increases, resulting in what is known as a meteor outburst. Sky watchers in 1982, for instance, counted 90 Lyrids per hour. So what about this year? The nearly full moon is out around midnight and clouds may spoil some of the show as well. Here’s the thing, the Lyrids are active for over week. While you won’t see an abundance of meteors, don’t be shocked to see a bright, fireball flash across the sky during that time frame. Lyrids frequently leave glowing dust trains behind them as they streak through the Earth’s atmosphere. These trains can be observable for several seconds. The Lyrids are best viewed in the Northern Hemisphere during the dark hours (after moonset and before dawn). Find an area well away from city or street lights. Come prepared with a sleeping bag, blanket or lawn chair. Lie flat on your back with your feet facing east and look up, taking in as much of the sky as possible. 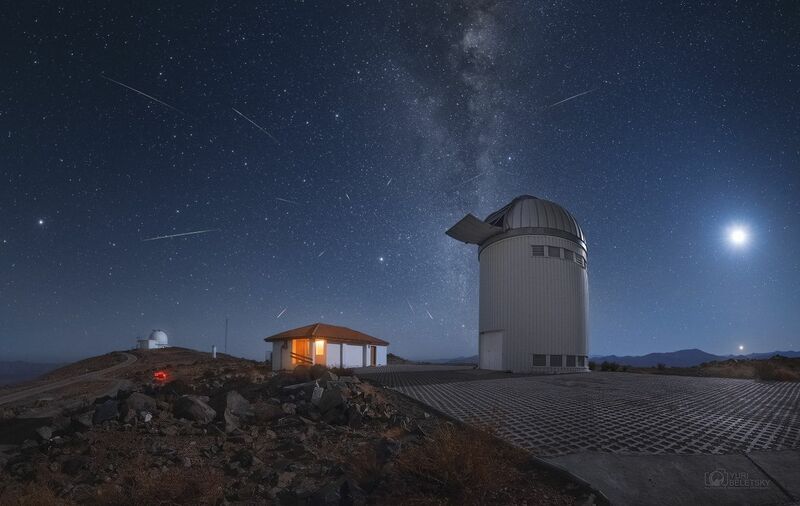 After about 30 minutes in the dark, your eyes will adapt and you will begin to see meteors. Be patient — the show will last until dawn, so you have plenty of time to catch a glimpse.